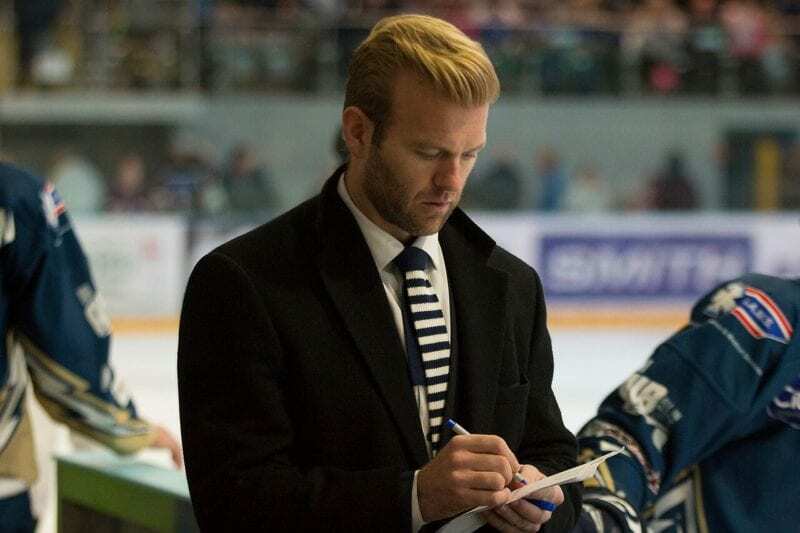 Milton Keynes Lightning player-coach Ryan Lannon admits if he had to work with a different set of players, he wouldn’t have taken the role. It’s been two weeks since Lannon and team-mate Tim Wallace were plunged into the harsh, unforgiving world of coaching when coach Doug McKay returned home for personal reasons on the morning of a live televised game with Glasgow Clan. With eight straight losses going into the game, the mood wasn’t exactly the most positive and then the bombshell dropped with the news McKay was leaving. 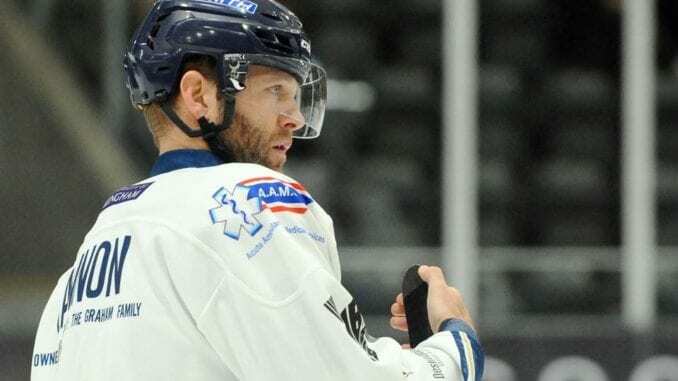 “We all got a message telling us we were having an impromptu team meeting on the morning of the game with Glasgow Clan where we were told the coach was leaving to go home for personal reasons,” Lannon recalled. “Graham and Monica (Moody) spoke to Tim Wallace and I to ask if we would be willing and comfortable to step in and work as coaches in the interim which we accepted. Tim has done a great job, running parts of training camp and it’s really a credit to the guys. With the change already in place, it was the small matter of taking on Glasgow Clan, now coached by Pete Russell, who was in charge at MK just last season and his first visit since leaving the club in the summer. Add to that the caveat the game was being shown live on FreeSports television so after quite a day for so many working at the club, the prospect of a draining game was perhaps one they could have done without. 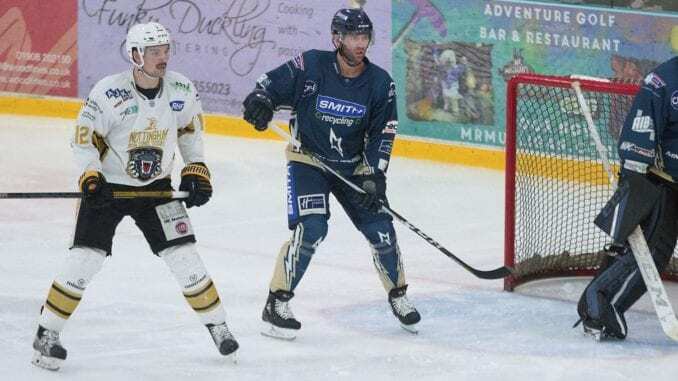 In contrast, it was probably the best thing for them as they romped to a 6-1 win over Clan, with Tim Wallace, Lannon’s co-coach netting a hat-trick in an impressive performance to bring smiles back on the faces of the fans. “That first game against Glasgow, the result was big,” he said. “The opportunity we took on was a big one and there’s a lot of responsibility there, particularly on Tim and I were success or failure is on us so it was a huge win for our group. “It was a TV game and it fared better than our other TV game so it was nice to have that big a win for our group and it got the fans excited in the building where it was noisy. The fact we showed we could play that way and score goals, it was a big step for Tim and I, as well as the team, going in the right direction. Moving on a couple of weeks and both Lannon and Wallace have been handed the gig at MK until the end of the season and as well getting a tune out of the players that have, to this point, underachieved, they’ve realised how well they work together as a partnership. While Wallace tends to look after the offensive lines, Lannon works with the defensive group and they split up the other duties and so far, it’s a system that works well for them, with Lightning picking up three wins in their six games in charge. 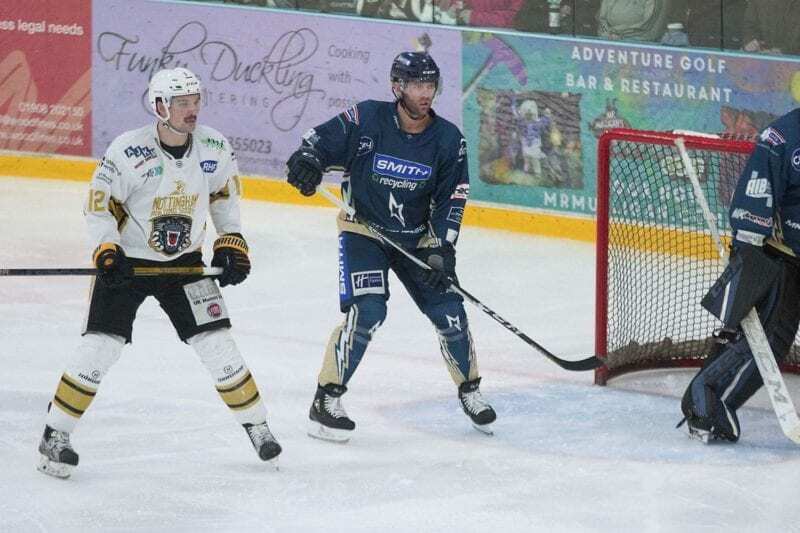 That includes a 3-2 overtime at champions Cardiff Devils on Sunday, which was a marked improvement from their first meeting of the season there in September that saw Lightning smashed 9-1 in front of a live TV audience. 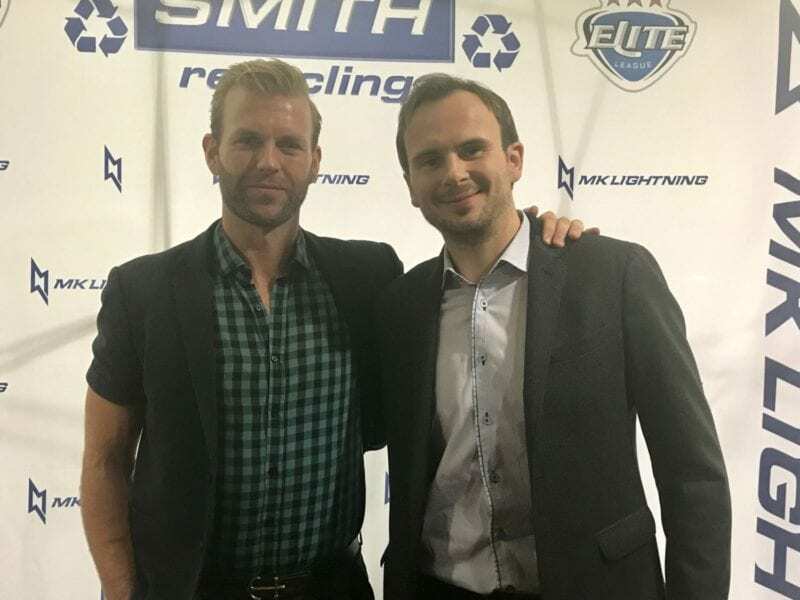 Lannon spoke at length about how his relationship with Wallace, with whom he played with at AHL side Wilkes-Barre/Scranton Penguins, has evolved, particularly in the last couple of weeks. He added: “Working with Tim as a player is one thing, but working with him as a coach certainly brings a different dynamic and I have to say it’s gone pretty well. We complement each other, whether it’s in practices or preparing for the games. “We’ve divided the responsibilities or rotated them, so one game, he’ll be in charge of the pre-scout and the pre-game then we’ll switch, then in practices, we collaborate and one will come in with a drill and the other might add some changes. “It’s worked pretty well and I don’t know, if, without Tim, it would quite work but having two minds to work together, we have that experience of being team-mates and that familiarity. “It’s not ego driven. It’s all about helping the team win and we’ve done that in the last couple of weeks. “Tim does some great video sessions and I think he’s got a great eye for the game. He’s helped the forwards and implemented an aggressive forecheck, which has worked well for us. “On the back end, I just try to keep it simple on defence and the guys see how I play and realise it doesn’t have to be anything too fancy. Just get the puck out and it makes the boy’s jobs easier. 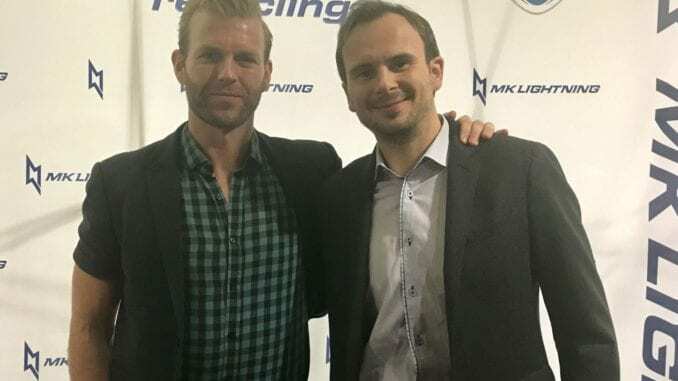 For Lannon, it’s another step in what’s been an interesting career for him, which started out with the Penguins after leaving Harvard University and taking in spells in Finland then in Austria before drawing a line under his career in 2013. He told his local paper he had fallen out of love with the game, but in 2017, started to put the feelers out about making a comeback. Something that bore fruit as he spent the campaign with Worcester Railers then on to Atlanta Gladiators in the ECHL. 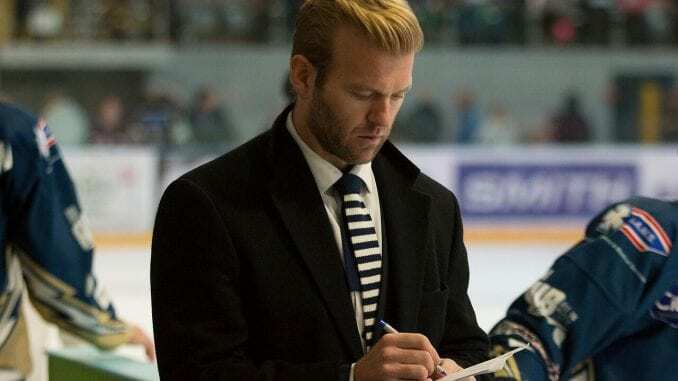 He moved to Milton Keynes in the summer and it’s probably fair to say an opportunity in coaching was not at the forefront of his mind when he accepted the deal from McKay to come to the UK and play in the Elite League. But now that he has a taste for it, is coaching the next step for him, with his 36th birthday on the horizon? Lannon was not surprisingly non-committal when this was put to him. “I don’t know what the future holds,” he said. “I had a brief experience as a youth coach, but I’ve almost been flung into this experience as a head coach of professional players, it has opened my eyes to things I like and things that are difficult. “Once again, having Tim helps a lot so I can share the responsibility. In the future, it’s something I would at least have to consider. 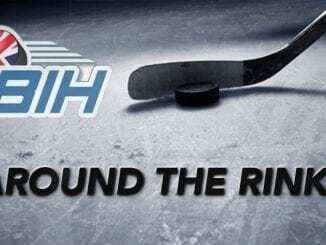 Most of my life has always been involved or around hockey so I have a unique knowledge of the game, especially from the player’s side of view. “But I think it could make me a better coach one day, appreciated what the players are going through and understanding the psychology of motivating a group. I’m learning something every days, which is exciting. We’ll see what happens down the road, but my focus right now is being a player-coach and I appreciate it’s been a player first, coach second. MK fans will certainly enjoy having him around for a little while at least.